At the beginning of the project I had no idea why we were learning about Africa and how any of this related to us. Ally asked what we knew about Africa and to write it down. Then she asked us how we know these things about Africa. Most of us replied, “Because we hear it in the news.” or “We learned about it in our history books in middle school.” The point of this project finally became more clear. We only knew one side of Africa, the side that’s always being publicized and told to us through social media and the government. Ally wanted us to know the full story and how just what hear isn’t all that Africa is about or has to offer. We read Things Fall Apart by Chinua Achebe, to get more of an understanding of what Africa truly is. Africa isn’t just desert and safari or pyramids and the Nile River. Africa has a deep culture and to write a short story based in Africa about imperialism was a very hard yet fun project. It took me a while to finally figure out what I wanted to write about and how imperialism would play a key factor in my story. First I had to figure out what imperialism is. Imperialism is when one country forces their government and rule onto another country that they’ve colonized. Adding this factor into my story really made it tie together and, in my opinion, better. The writing part of my essay was very difficult because I had started with one idea and half way through I restarted on a totally different idea. I felt very confident in my work and to do the peer critiques on other people’s essays made me realize that I should critique my own. I had multiple peers critique my essay and I used their feedback to make my essay better. 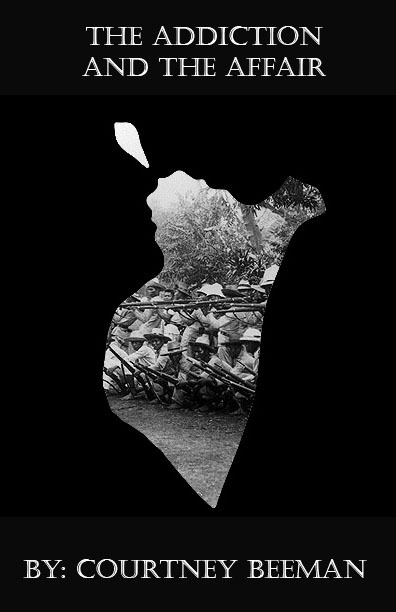 I didn’t put as much thought into the art piece of my story as I wanted to but for my art piece I used a picture of a war in the background and two people kissing to symbolize the affair that my main character had during the war. The war was my way to show Imperialism because it was caused by two other countries fighting over the land. I feel like I showed a lot personal growth during this project because I was learning a lot more about two sided stories and how only knowing one side of the story can lead to major conflict. In this project, I feel like we were learning about more than just Africa and Imperialism. We were learning about different perspectives and how my viewpoint can be totally different than someone else's.